A four year starter and 2 time Pac-12 champion, Browning was a highly recruited High School Quarterback. 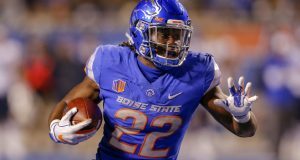 Can he survive at the NFL level? I am sure he would say yes, but after watching the tape, his play screams career backup. Sorry, Jake. I wondered what made his highlights look so good, then I realized he was throwing the ball to Dante Pettis, John Ross and Will Dissly, all current NFL players. And after watching, I was glad I just traded for Pettis. It certainly raises the question if Browning needs elite talent around him to succeed. If that’s the case, he would be a great back up in San Francisco. While watching him play, I noticed he doesn’t have a huge arm, but has great touch, although playing in the Pac-12, many of his receivers were wide open. Jake also has great awareness in the pocket and can scramble, but as a pure Quarterback, always looks to throw if he can. Browning can put the ball on his receivers back shoulder but lacks elite velocity. That being said, Jake is a gamer and if I were building an NFL team (not fantasy), I would take him over Lamar Jackson right now. I also love his completion percentage, hanging at 64.6% over his 4 years at Washington. That, coupled with his 94 Touchdown passes, and some NFL team can find either a diamond in the rough or a great back up. 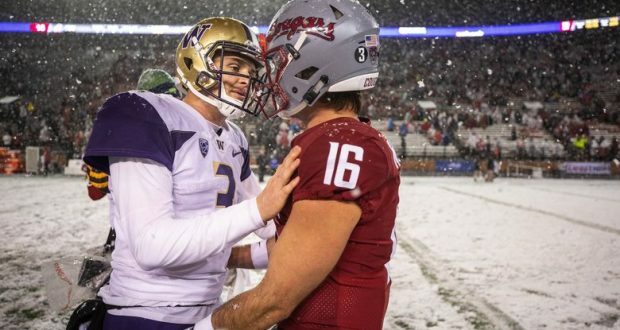 Charismatic and loved by his teammates and Washington State faithful alike, Gardner Minshew should be someone the many NFL scouts are interested in. He has great poise and is an absolute gamer, doing whatever it takes to win all while finishing second overall in FBS passing yards in 2018 (4,779). BUT- did you watch the Senior Bowl, where he finished 1-8 for 4 yards? That game exemplified his shortcomings. 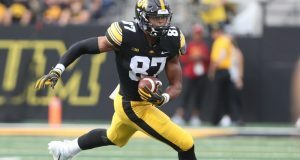 He has a tendency to under or overthrows receivers, and like Browning, played in the Pac-12 where many receiver and backs had significant space. That won’t be there in the NFL. Part of where Gardner’s issues stem in throwing to his receivers is his mechanics, he doesn’t use his hips to move the ball, unlike Baker Mayfield, who has a similar build. Like Browning, he is mobile in the pocket and beyond and would rather throw than run. Some scouts may knock him for never taking a snap under center and playing in an “Air Raid” offense, and I know Mahomes played in the Air Raid this dude is no Mahomes. Unlike Browning, Minshew does not have 4 years of consistent starting in his tenure, playing sparingly at East Carolina before transferring to Washington State. So we will see what draft day hold for these two Pac-12 rivals, but I would not bank the future of your Dynasty team on them. If you need a QB for 1 year, you would be better off with Ryan Fitzpatrick or Joe Flacco. Football season is is the best time of the year, specifically fantasy season. And no, I do not want to be in your redraft league. They bore me. I love trash talking, trading and The Philadelphia Eagles! Love my beautiful daughter Cora and my amazing wife Jenna!